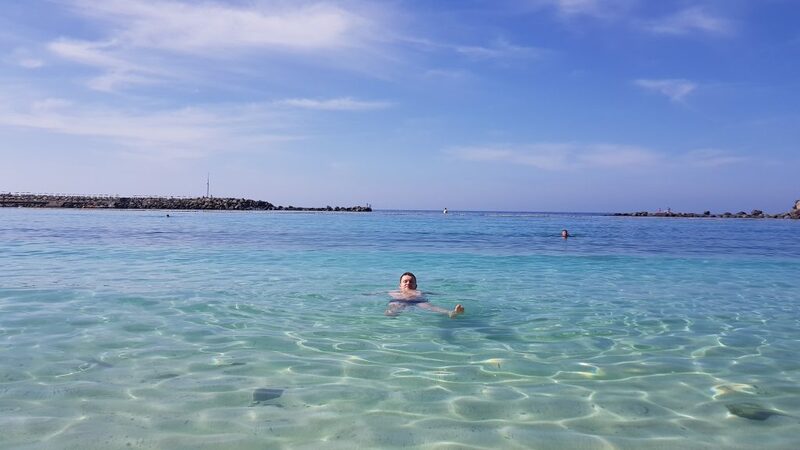 TOP 20 Things to do in Gran Canaria & best places you HAVE to visit! 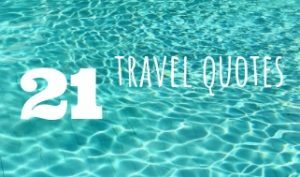 Home » 20 Things to do in Gran Canaria & best places you HAVE to visit! Gran Canaria, known as “the continent in miniature”, impresses visitors with the richness of nature and many holiday attractions. Among the best things to do in Gran Canaria, you will find the impressive Maspalomas dunes, breathtaking views from Mirador del Balcon or beautiful Amadores Beach. 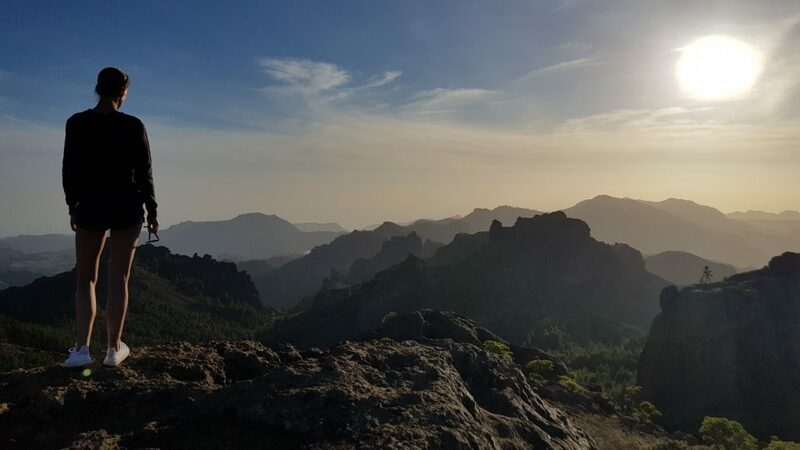 You don’t even have to leave Europe to go to Puerto Rico 😉 From volcanic landscapes & mountain trials to stargazing trips – Gran Canaria has it all – a very long list of must-see places and sightseeing! 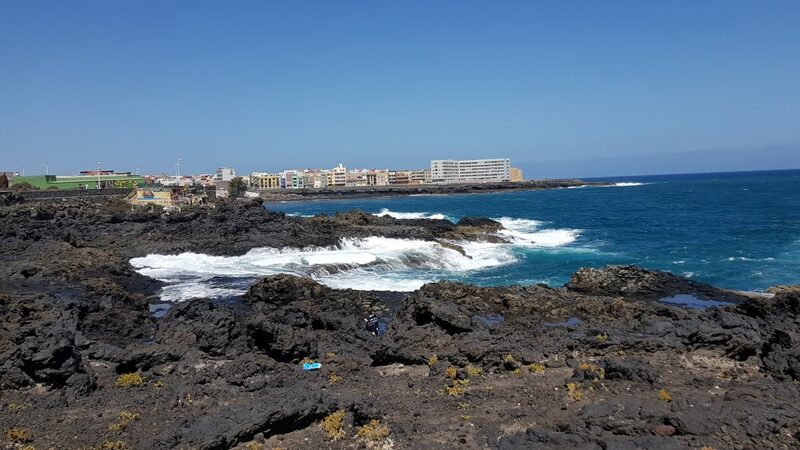 Are you planning a holiday in Gran Canaria and don’t know what to see? Discover the 20 best attractions & things to do on the island. 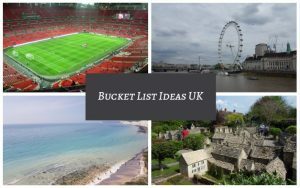 These places can’t be missed! This is one of Gran Canaria’s most visited water features. Located just 20 minutes drive north from the airport, is a perfect starting point on your adventure in Gran Canaria Spain. The Bufadero de la Garita is a stunning example of how powerful nature is. 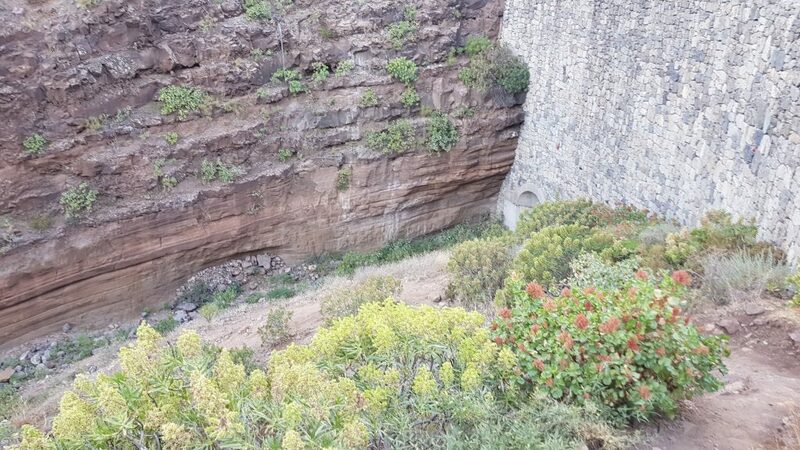 Be careful when exploring this area – it’s not suitable for kids due to the basalt rocks. But it’s definitely worth to visit El Bufadero and spend a couple of hours watching the waves and relaxing by the sea. 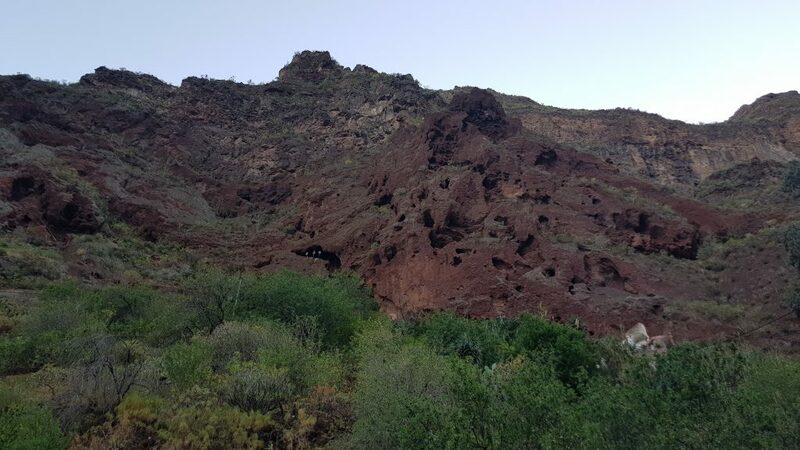 Cenobio de Valerón is a massive basaltic arch, covering a volcanic tuff, in which about 300 caves were excavated by Guanche people. Situated in the north coast of Gran Canaria, they back to the stone age. Cenobio de Valerón is one of the most important pieces of architecture on the island but still, nobody knows the purpose of the caves! 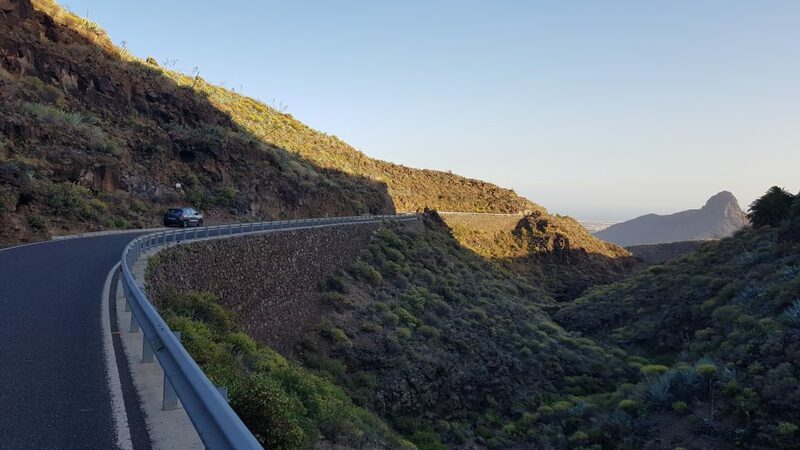 There are few amazing roads in Gran Canaria but GC-200 is one of the most spectacular roads – the views are just breath-taking. This is one of the best roads in Europe we have driven on. From hairpin bends to sheer cliff-edge drops you have all you need to enjoy the drive! 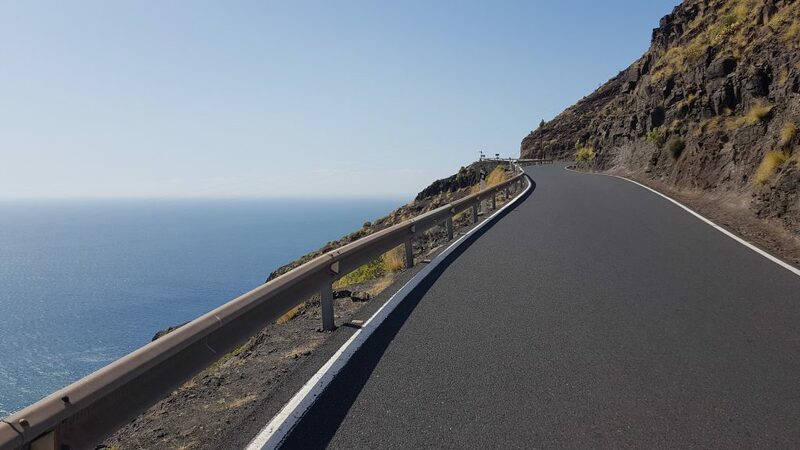 GC 200 starts at the end of the GC 1 motorway at Puerto de Mogán but the best part of it is between Puerto de las Nieves and Mirador del Balcón. Enjoy! 😊 One of the best and free attractions in Gran Canaria! No time for a break! 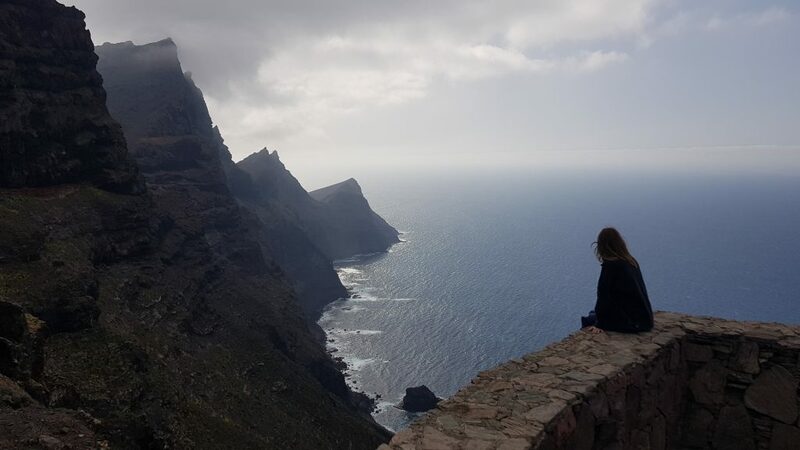 After an amazing drive on the GC-200 (you might be suffering from a travel sickness by this time 😉), you will experience another stunning view – just from the edge of Mirador del Balcon – a fabulous place to visit in Gran Canaria. Make sure you walk down the step-stone steps to the balcony, which hangs out over the ocean! You will be rewarded with spectacular views! 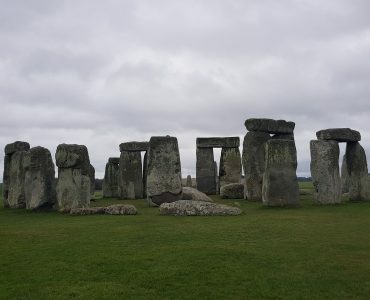 This is one of the best places to visit in Europe – it’s just stunning! Would you take a picture from the end of the Mirador del Balcon? Situated in the south-west of Gran Canaria, Puerto Rico’s beach is a crescent of golden sand imported from the Sahara. It looks stunning! The beach of Puerto Rico in Gran Canaria is one of the best family-friendly beaches as you can enjoy sunny weather for most of the year! What else would you expect from Puerto Rico?! 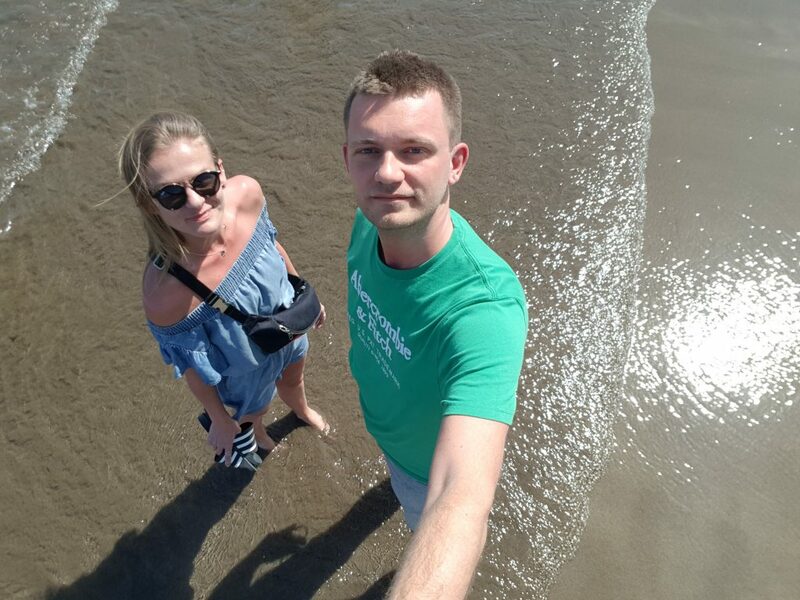 😉 This part of Gran Canaria is really busy with tourists seeking sun, beautiful beaches and a relaxing atmosphere. Amadores beach is located in the southwest Gran Canaria. It is a man-made beach perfect for relaxing in the sunshine and swimming. The beach is sheltered by two dykes, so its waters are mostly calm. Amadores Beach is the most stunning beach in Gran Canaria, and one of the best beaches in Europe! With crystal clear water and white sand, along with the restaurants, it makes a perfect place to spend a whole relaxing day. This Blue Flag beach is the largest artificial beach on the holiday island of Gran Canaria. 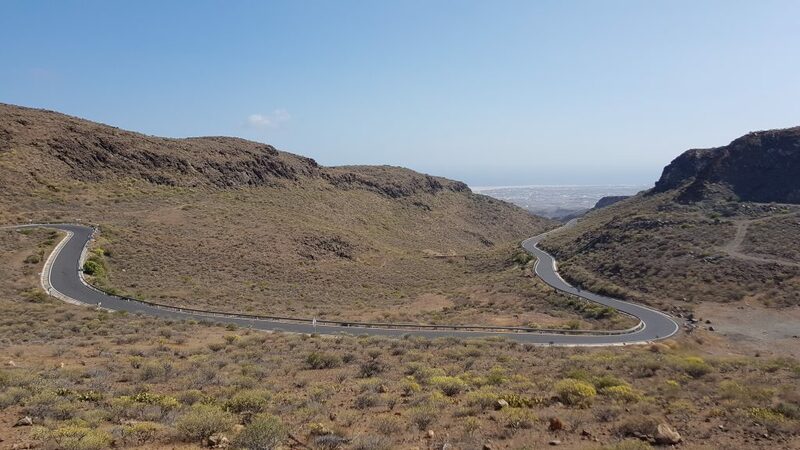 This is another stunning road on Gran Canaria with spectacular views. The best part of the road starts at Las Filipinas and ends at Cascada de Soria. 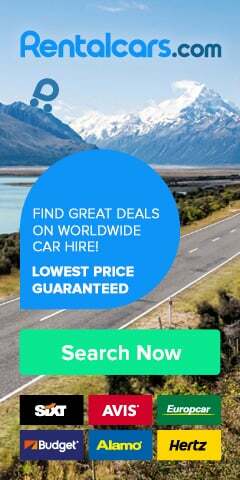 Just under 10km of harpin bend & mountain s-shape curved road, you will love every of the 20min on the road 😊 Make sure you have a strong car as you will be climbing a lot (read our guide to renting a car in Europe)! The altitude difference is around 900m! 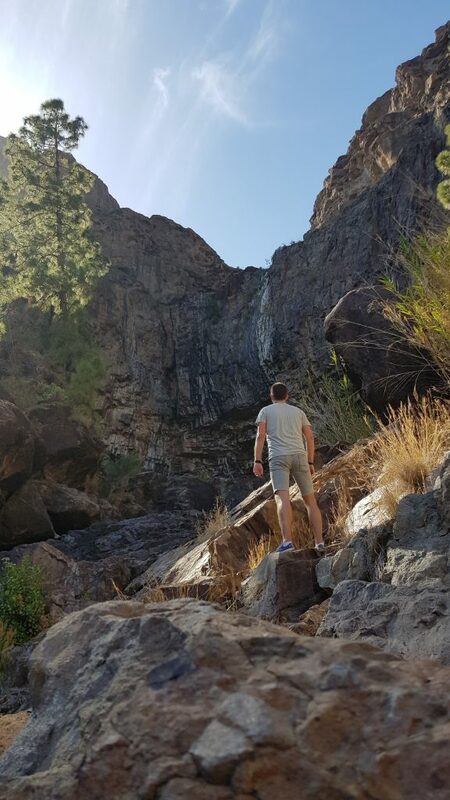 This one of the best things to do in Gran Canaria when… it’s raining 😊 As this doesn’t happen too often, it is very unlikely that you will see the Cascada de Soria waterfall. As we didn’t see it. 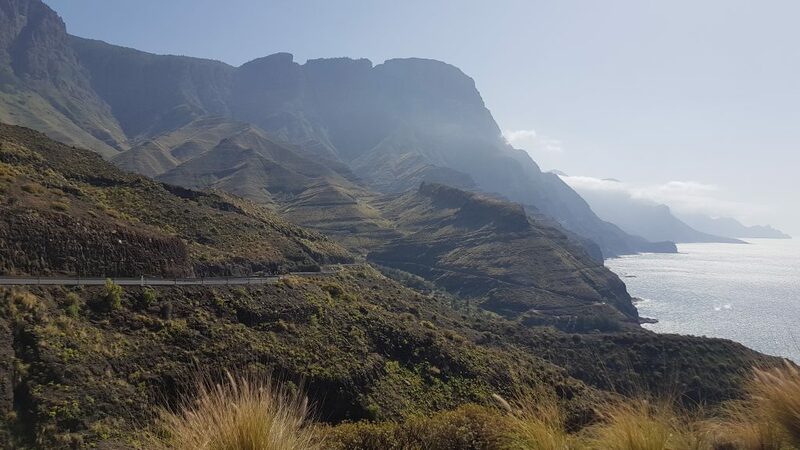 Nevertheless, it’s if worth to drive to this amazing location in Gran Canaria. There is a little car park, from which you can go for a walk to admire breath-taking views. After a little break, walk down the hill to see an old dam called Presa de Soria. Must see when visiting Gran Canaria! 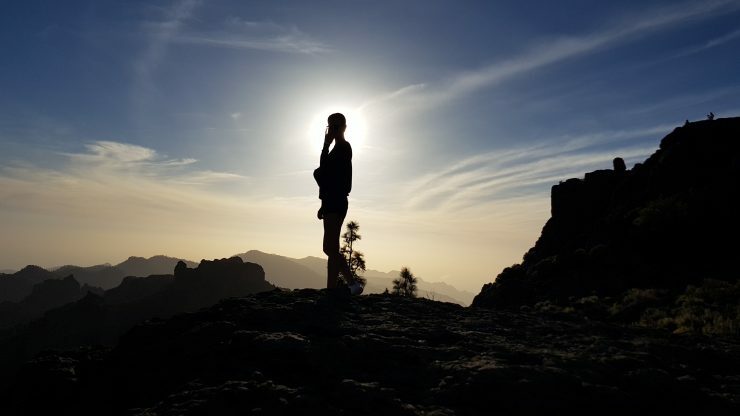 Roque Nublo is a volcanic rock – an incredible and magical landmark of the island. 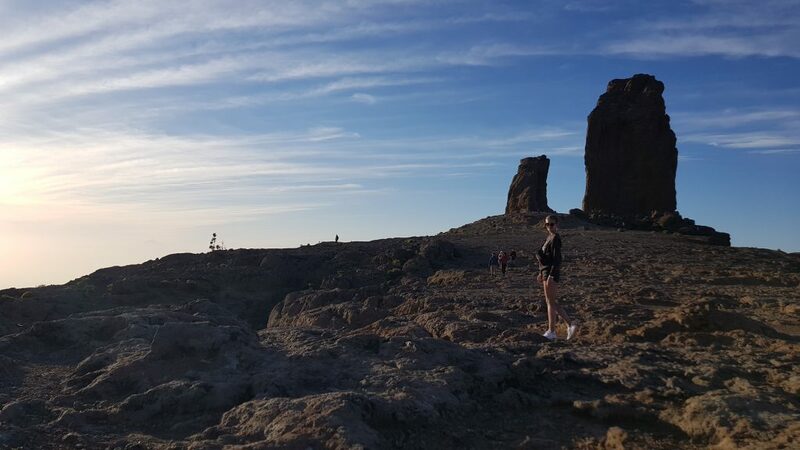 You can easily hike to the monolith – the trekking path to Roque Nublo goes along the mountain peaks and it takes about 30 minutes – it is considered as very easy. A must see on Gran Canaria! 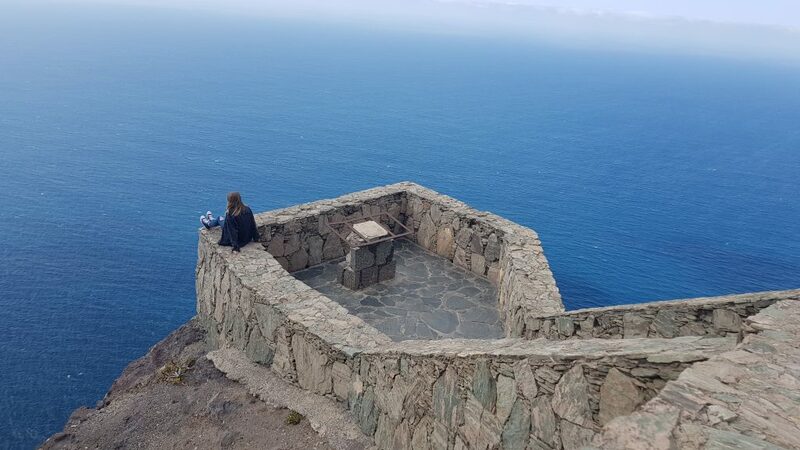 A wonderful, unique place in the scale of all the Canary Islands! 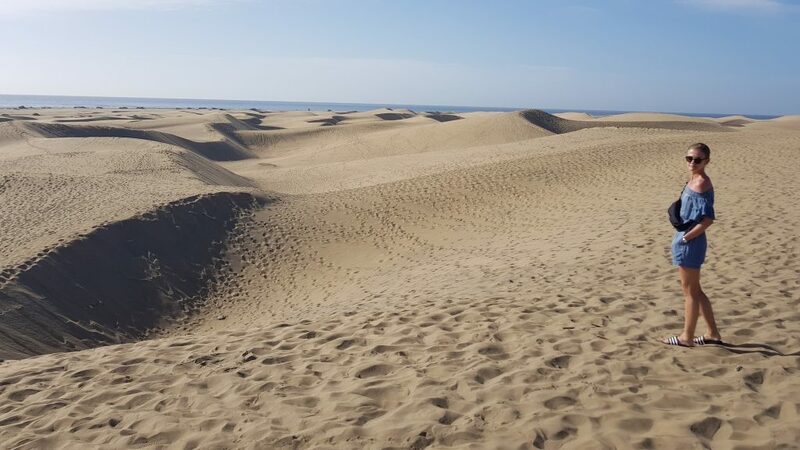 The Maspalomas dunes stretch along the ocean at a length of 6 km and they occupy over 400 ha – so there is enough sand for everyone! 😉 The whole area is a great nature park and it’s partially shared with tourists. This stunning space, covered with golden sand, looks out of the world! Where else in Europe can you see dunes this size? The highest ones reach a height of up to 20 meters! But hurry up! 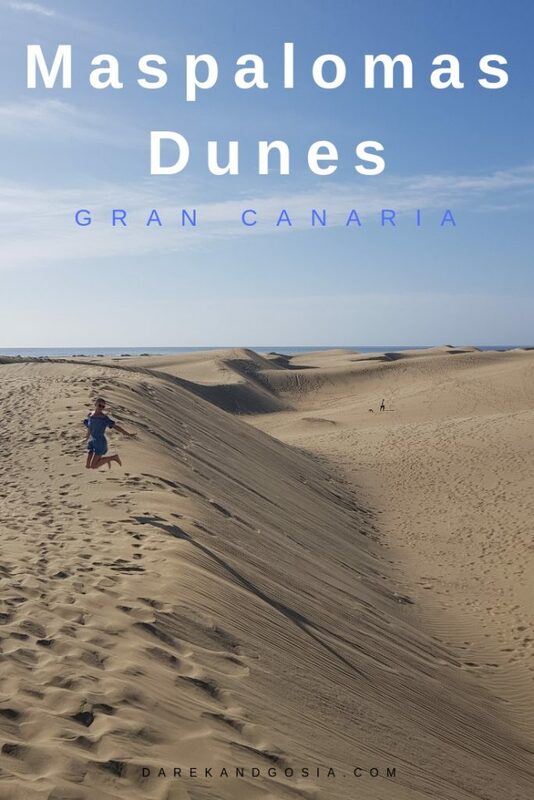 The famous Maspalomas dunes might be lost to the island of Gran Canaria early next century – according to years of study. 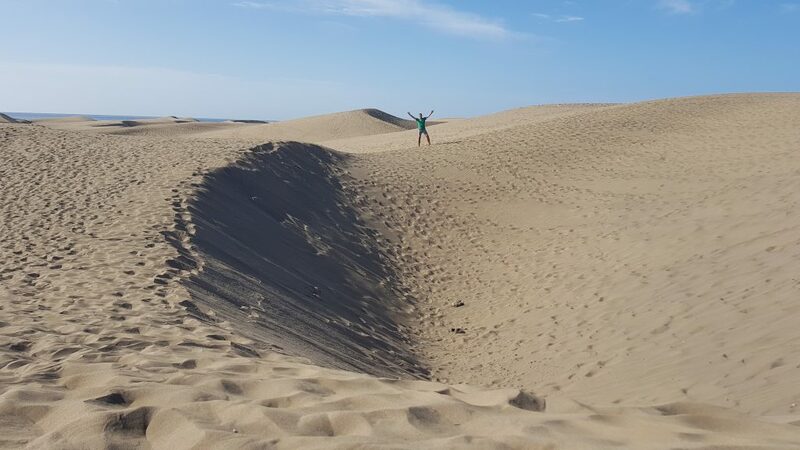 Would you add Maspalomas dunes to your Spanish bucket list? 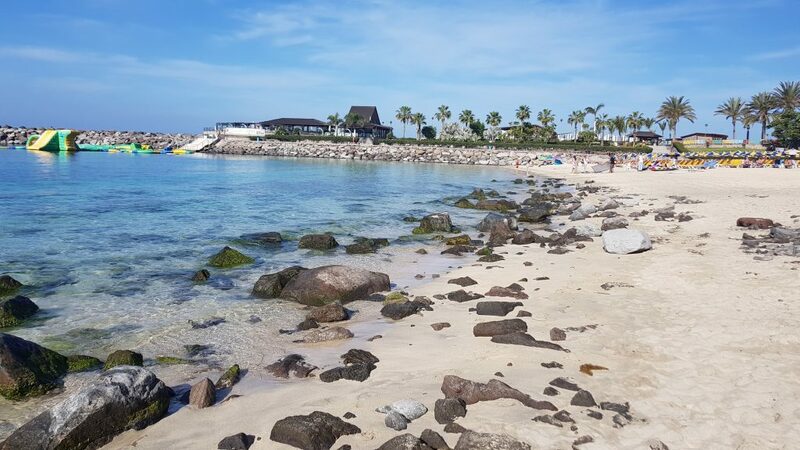 If you are looking for a vibrant nightlife and sandy beaches, Playa del Ingles is the place for you! 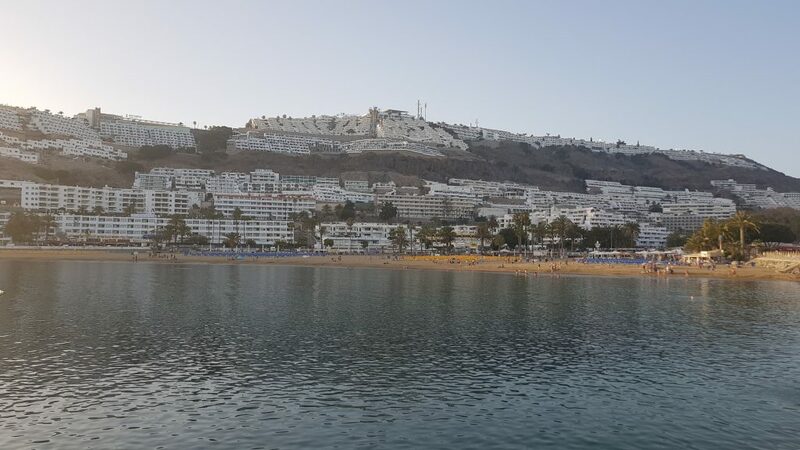 This is Gran Canaria’s most famous holiday resort and a massive party place visited by many Northern European tourists. It is also one of the island’s oldest party resorts going back to the 1960s. The beach itself is nice but we preferred Amadores Beach as the water over there is much clearer. 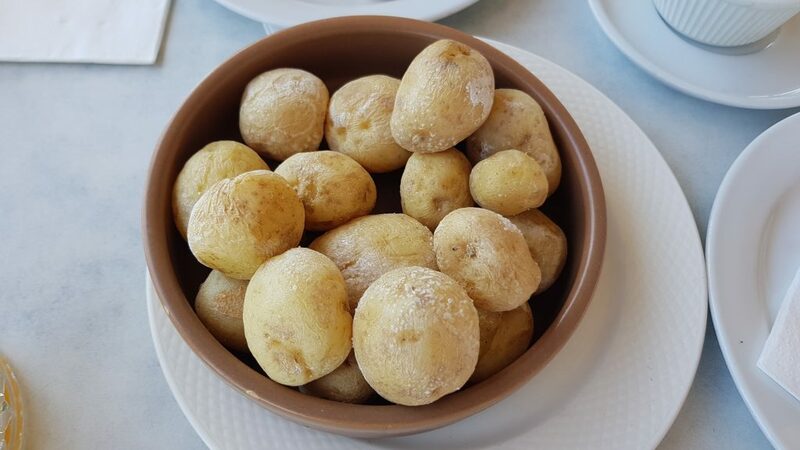 There are many amazing places with tapas on Gran Canaria Island 😊 With so much choice of tapas available it can be difficult to know which one to choose 😉 Pimientos del Pardon, Canarian Potatoes with mojo or Jamon Ham – we love all of them! Located on the GC-60 from Maspalomas towards Fataga. Degollada de las Yeguas is one of the best miradors on the island. There are a small carpark and designated viewing area with breath-taking views! 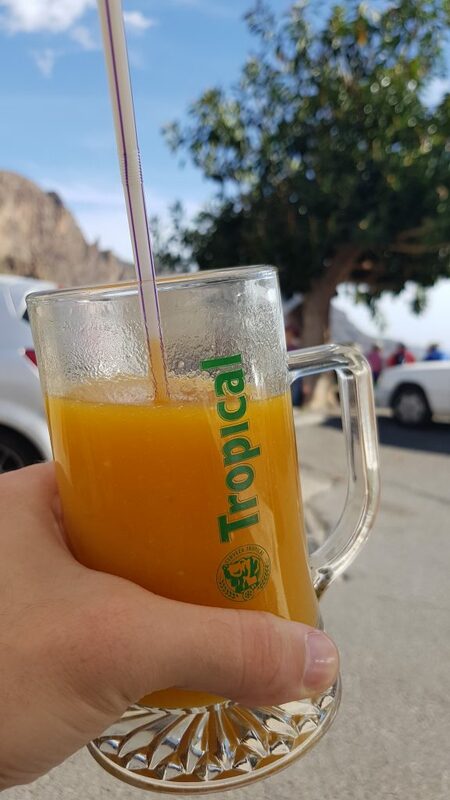 A must-have during your car trip in Gran Canaria – an amazing place on this island. This small village, located in the middle of the island in the so-called “Valley of Thousand Palm“, has preserved its true Canarian charm until today. 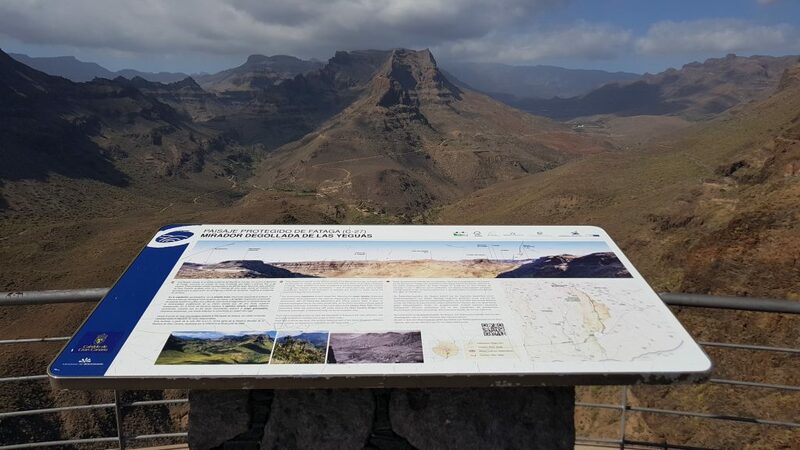 Just 5 km north from Fataga, after a 10-minute drive, you will get to another stunning viewing point – Mirador de Fataga. The views from there are also fantastic so it’s definitely worth spending there a bit of time. Mirador de Fataga is a very popular stop and meeting point for all quad and bike lovers – a great opportunity to stretch your feet whilst admiring the fab view. There is also a small shop so you can get some refreshments if you need. 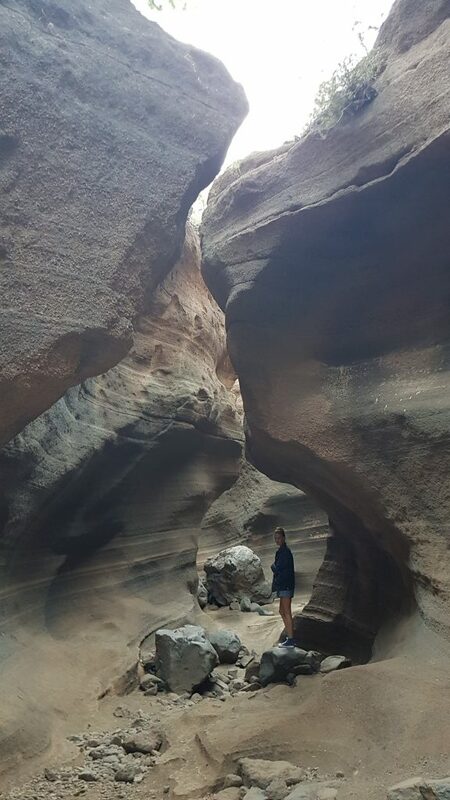 Always wanted to see Antelope Canyon in the USA? Well, we have great news for you – no need to leave Europe to see it! 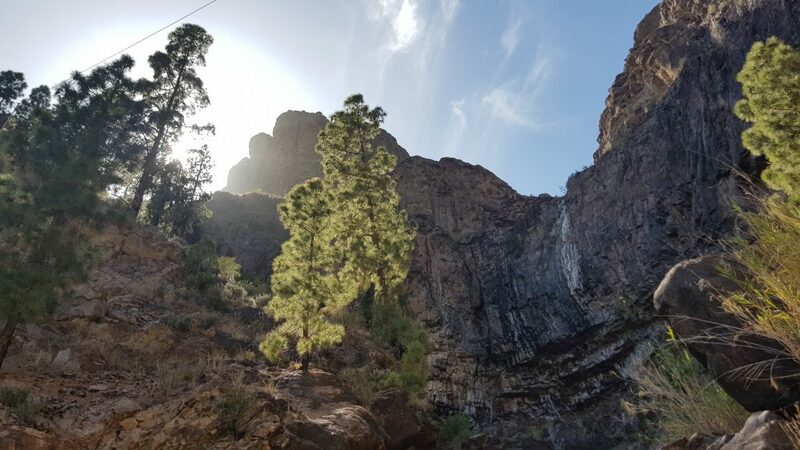 😉 Gran Canaria has it’s own called Barranco de las Vacas. And it is stunning! 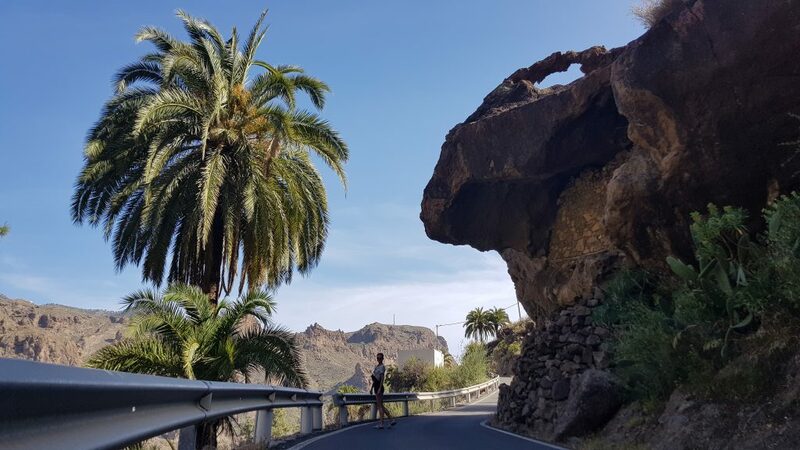 One of the best things to see in Gran Canaria and one of the best places to visit in Europe – it’s definitely worth it! 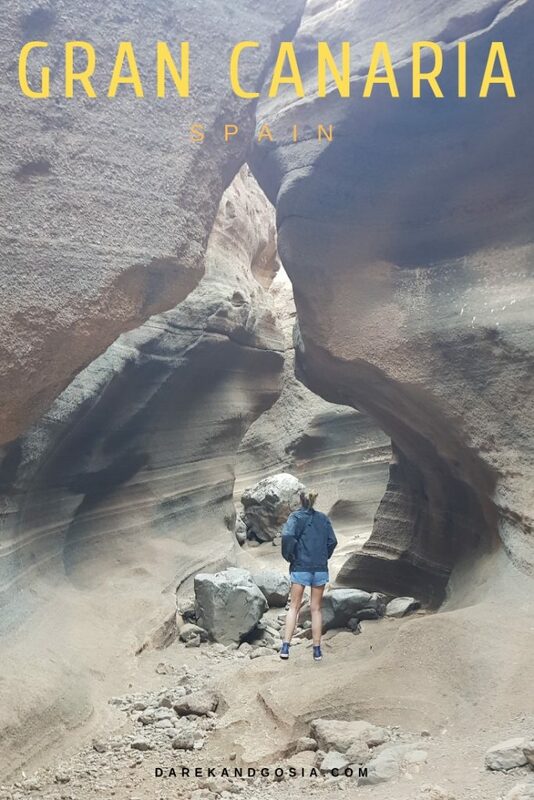 This stunning canyon formed from porous volcanic ash and then finished off and smoothed by water looks really breath-taking with its coloured stones and flowing curves. But this gorgeous, hidden gem it’s not easy to find! How to get to Barranco de las Vacas? First thing – you will need a car! The Barranco is located near Agüimes province on the GC-550 road. There is no sign on the road so you will have to trust your sat-nav or just look for a grey bridge (you will be driving over it 😊). Then, walk under the brick bridge and after 2 minutes following the path you will get to the Barranco de las Vacas. Is it not wicked?! 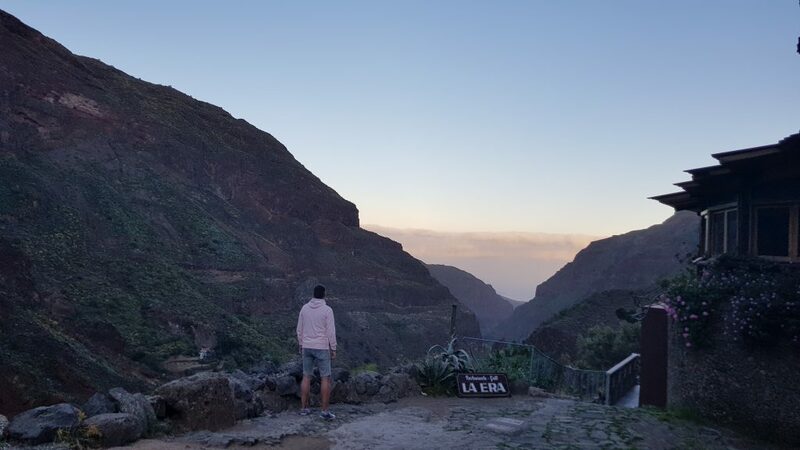 We really loved this stunning place – it’s a must visit place in Gran Canaria and should be added to any travel bucket list! 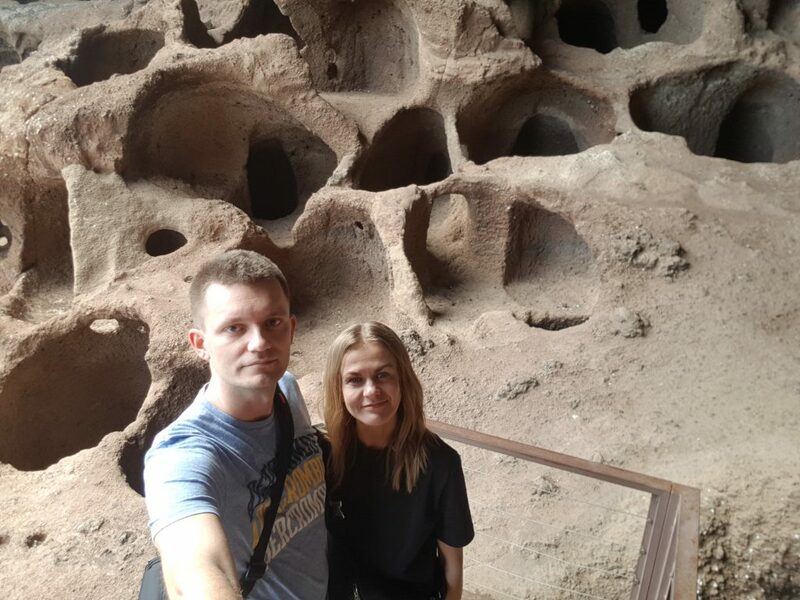 There is also a little chapel carved into the rock! 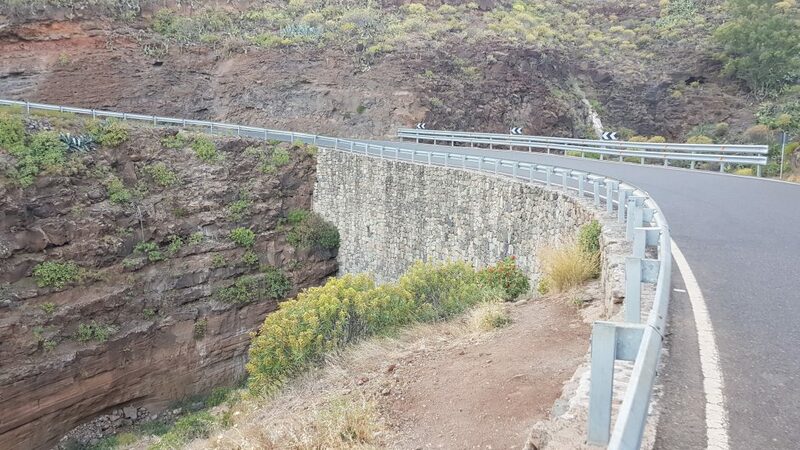 Even driving through the gorge is a very a unique experience – a must-do on your Gran Canaria bucket list. At the very end of GC-103, you will find this amazing spot called Montana de Las Tierras (Mount of the Lands). This tourist attraction is not crowded at all. In fact, it is a perfect place to be one-2-one with nature. You can really feel that time just stopped there – this, combining with spectacular views, makes it a great place to start your hiking trail so you can re-charge your batteries. 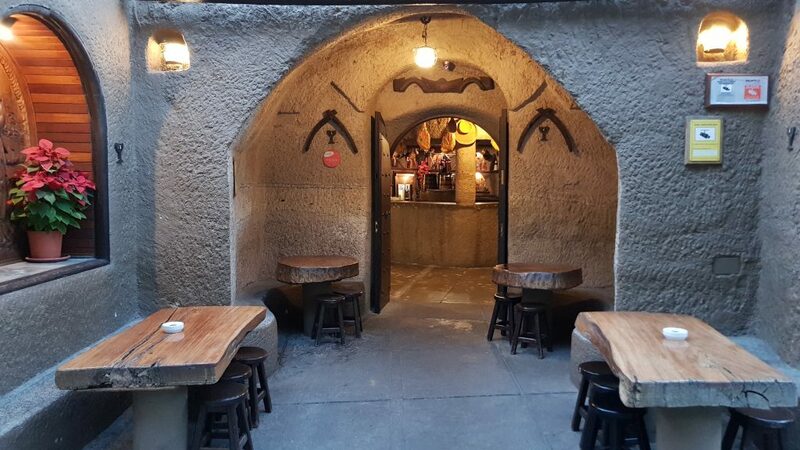 Have you ever dreamt about eating dinner in a cave? You can feel like Fred Flintstone if you visit Tagoror Restaurant. 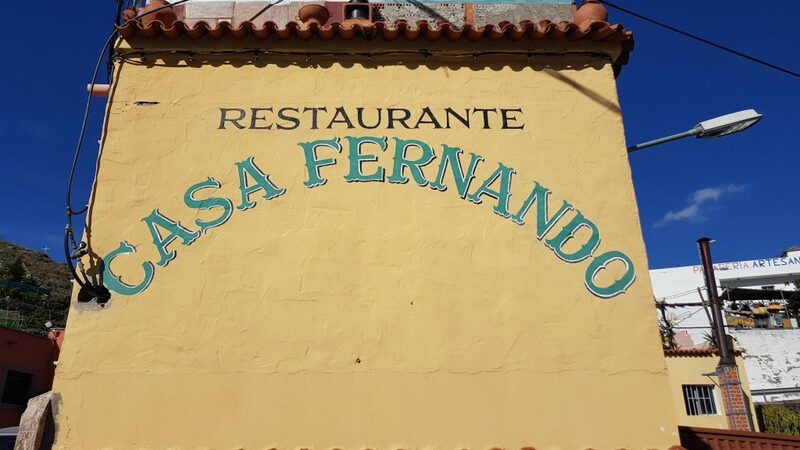 With a total area of over 800 m2 carved into the mountain, there is a lot of space to taste delicious tapas. 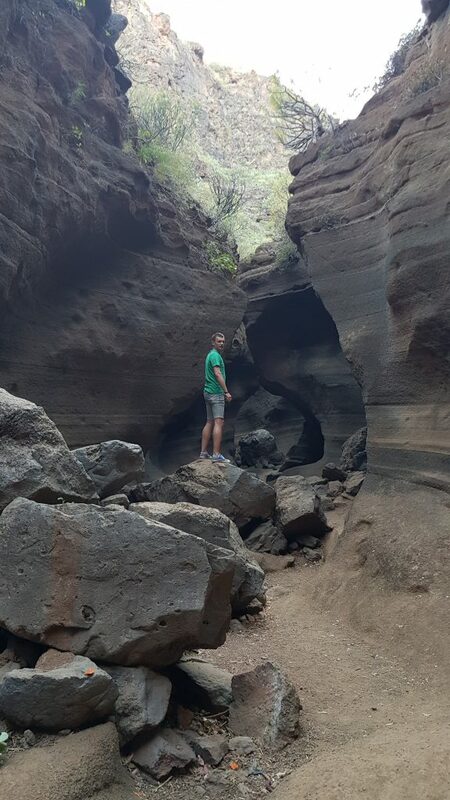 You can’t find a more unique place in Gran Canaria! 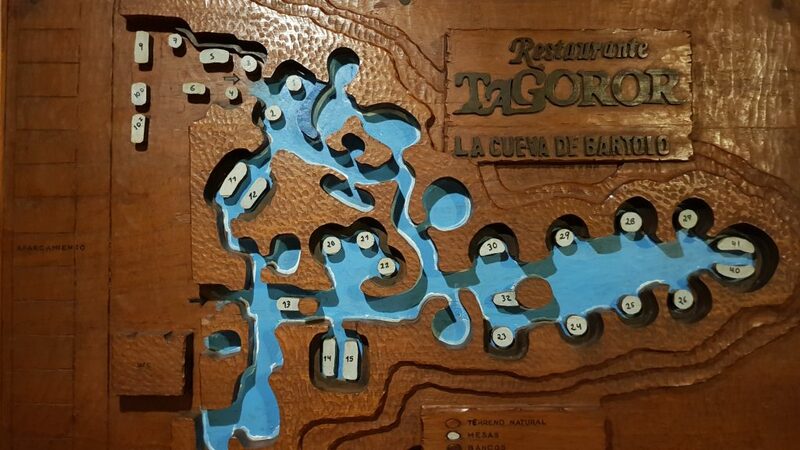 It took over 11 years to complete this place thanks to Bartolomé Rodríguez López, who started the work back in 1972. 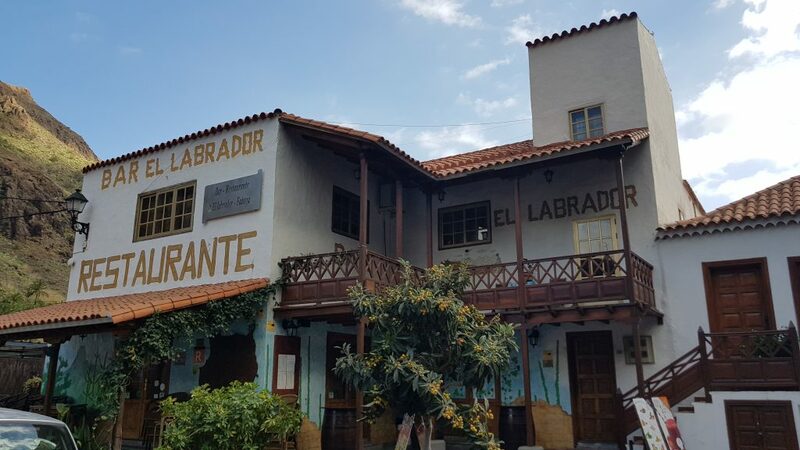 Make sure you visit Tagoror Restaurant and try the best Canarian cuisine – you can even stay for the night in one of the Guayadeque Rural Villas. 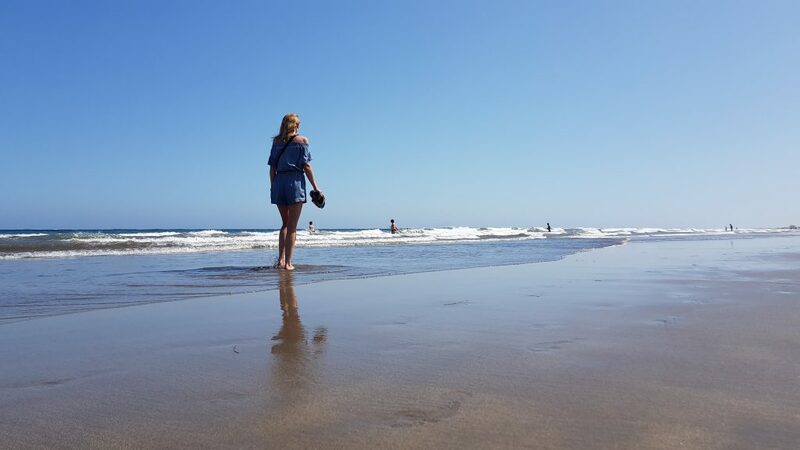 Is it worth it to visit Gran Canaria? 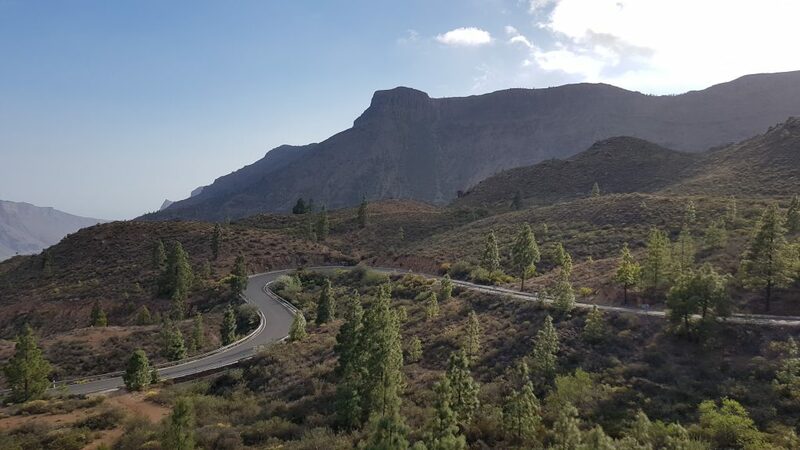 From majestic cliffs & divers beaches to volcanic landscapes and one of the most spectacular roads in Europe – Gran Canaria has it all to make a fantastic holiday on this Canarian Island in Spain! It’s one of our favourite islands in Europe and the region of Macaronesia (Canaries, Azores and Cabo Verde). It is definitely worth spending a holiday in Gran Canaria. Where else can you walk on amazing dunes and after one-hour drive hike in the mountains? But be quick! This hidden European gem will soon become THE place to go on holiday! Make sure you visit this island before it becomes too popular. TOP 15 Things to do in VENICE Italy – The most romantic Italian city! 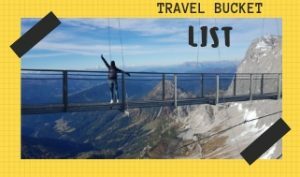 31 Best Places to visit in Italy for holiday: TOP destinations & places to go! 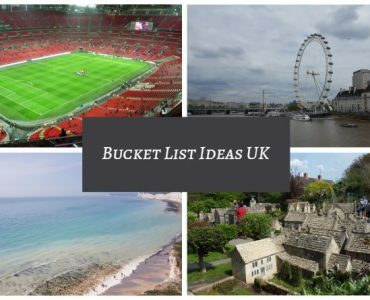 Bucket List Ideas UK – 50 MUST have on your UK List!